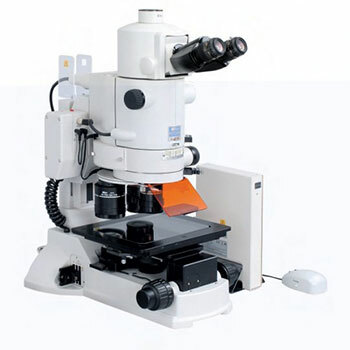 The AZ100 Multizoom represents a new concept in zoom microscopes. It covers an extremely wide range of magnifications, from 5x to 400x, effectively combining the advantages provided by stereo zoom microscopes and compound microscopes. Thanks to a smooth zooming mechanism and a unique triple nosepiece, the AZ100 can continuously switch magnifications, extending from macro to micro observation of the same specimen.